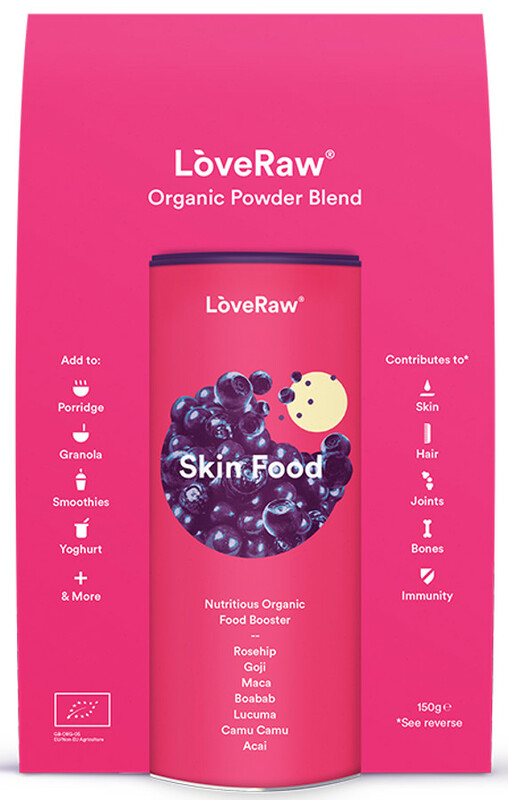 Treat your skin to the finest natural antioxidants by adding Love Raw’s Superfood Powder Blend to your smoothies and granola. It is certified organic, 100% raw and contains essential fatty acids and omega 3, which contribute to healthy skin development. Camu Camu is a shrub that grows in the swampy areas of the Amazon Rain Forest. It is rich in Vitamin C, which is a vital nutrient for collagen creation, which plays an important part in the healing of skin damage. 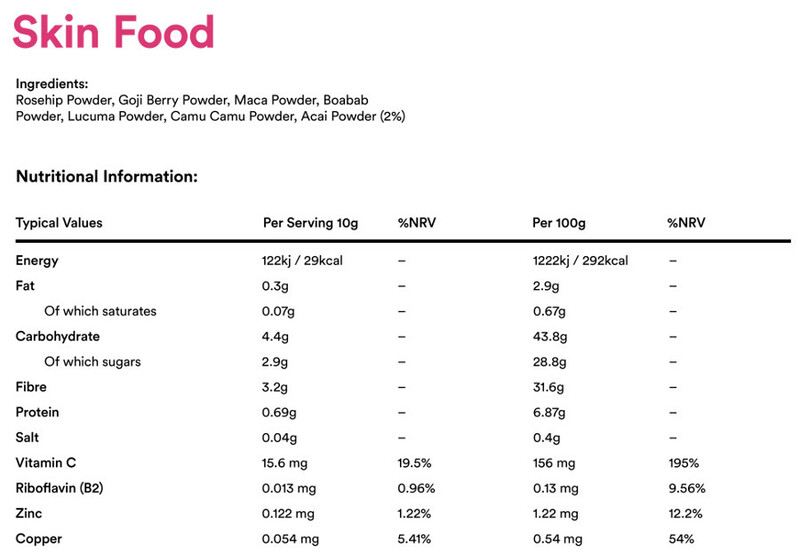 Goji Powder is well known for its anti-ageing effects and Acai Berries are bursting with antioxidants. The Rosehip contains anthocyanins & polyphenols that are understood to help reduce inflammation in the body. Finally, Lucuma has been loved for centuries by South Americans for its medicinal healing properties and its high B-Vitamin levels. 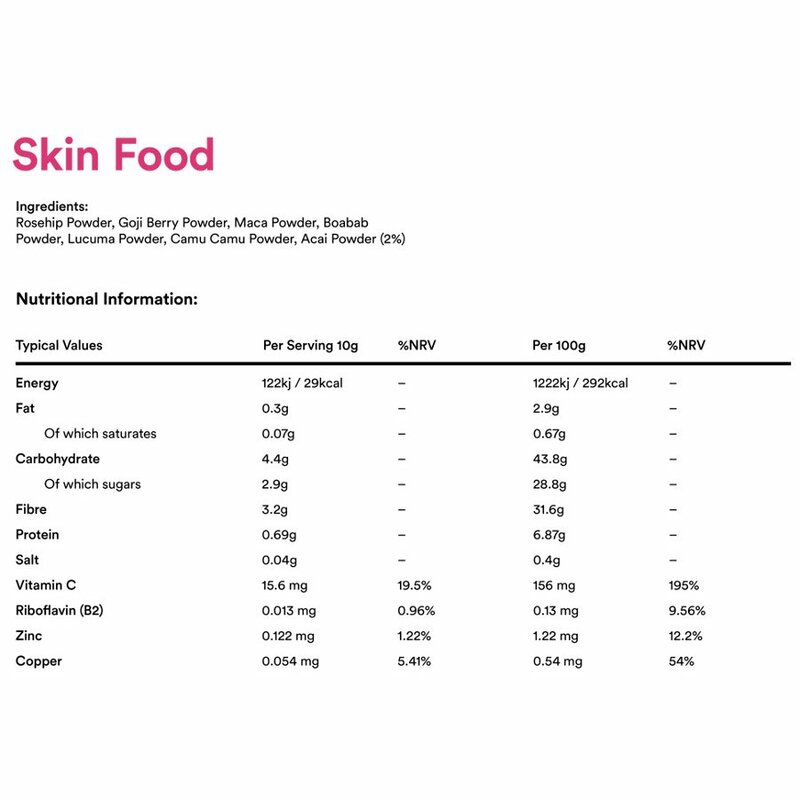 The Love Raw Skin Food Superfood Powder Blend - 150g product ethics are indicated below. To learn more about these product ethics and to see related products, follow the links below. 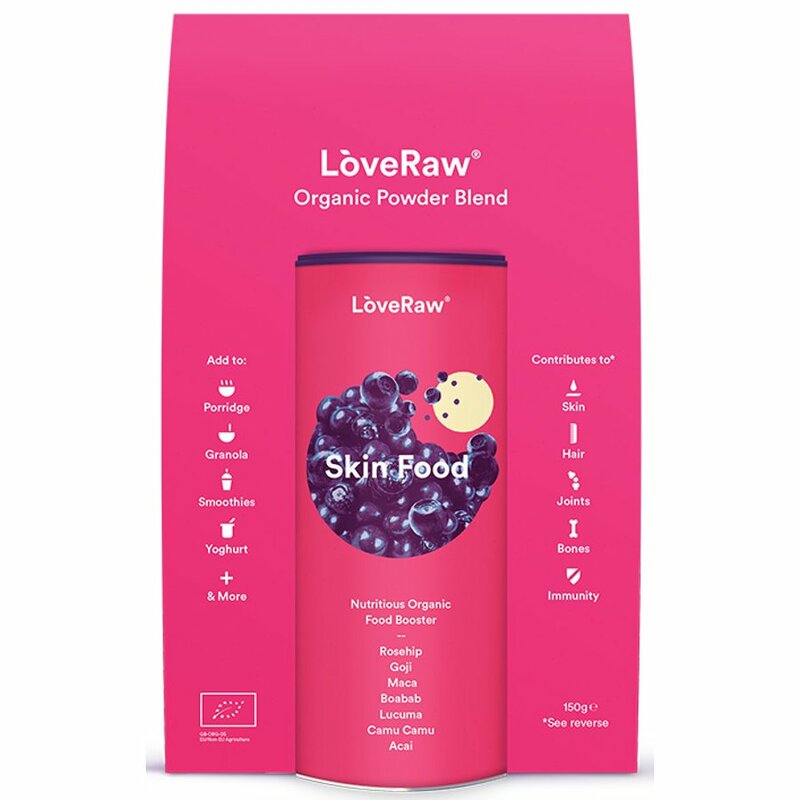 There are currently no questions to display about Love Raw Skin Food Superfood Powder Blend - 150g.